Baldwin Boats are agents for Radar, Ronix, Sky Ski, KGB, Wave Length, Jobe, Connelly and many more. 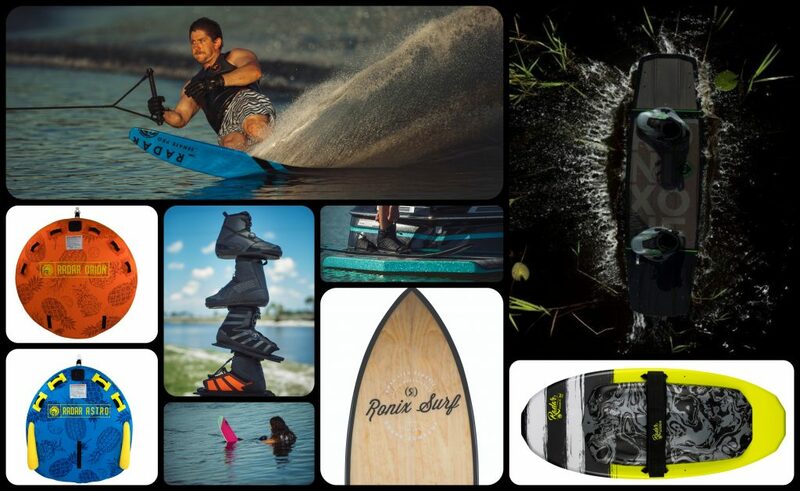 You can be sure we’ve got you covered with all the quality ski and wakeboarding gear you’ll ever need. From boards to boots, skis, sky skis, gloves, jackets, ropes, tubes and a whole lot more. We also stock a large range of ski race gear. We also have a ‘try before you buy’ program for skis and wakeboards… after all, we want you to have the right ski or wakeboard to suit you. Visit us and ask our friendly staff for more information about our extensive product range. Also, keep an eye out for our on-water demo days and join our mailing list to keep up to date with the latest news and information. CLICK HERE to view or 2019 Ski Gear Catalogue.